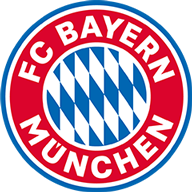 Defending champions Bayern Munich got the Bundesliga back underway with a 3-1 win at Hoffenheim on Friday to deliver a statement of intent to the leaders Borussia Dortmund. Robert Lewandowski sealed the victory late on to cut the gap on his former team to three points after 18 games. It was Bayern's sixth league win in succession, stabilising the side after an early-season wobble. Leon Goretzka scored twice in the first half for the visitors. He gave his side the lead in the 35th minute, converting the rebound after Robert Lewandowski's header was saved. The 23-year-old made it 2-0 just before the break with a low finish from a corner as Bayern performed impressively in the league's first match after a winter break of almost four weeks. 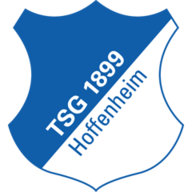 Hoffenheim, who had dominated much of the first 45 minutes, pulled one back through Nico Schulz just before the hour mark. But Bayern eventually made the points safe when Lewandowski struck four minutes later with his 11th league goal of the season. Dortmund are the visitors to RB Leipzig on Saturday and they can re-establish their six-point advantage with a win.